MOORESTOWN, N.J. (WPVI) -- Three men hired to run a Moorestown, New Jersey funeral home have been charged with allegedly stealing $1.3 million from the company. Raymond Zale, 60, of Buttonwood Drive in Stratford; Ronald Zale, 58, of Saratoga Road in Stratford: and Sean Zale, 32, of Larkspur Circle in Sicklerville were each charged on Friday with two counts of Theft by Deception (Second Degree). 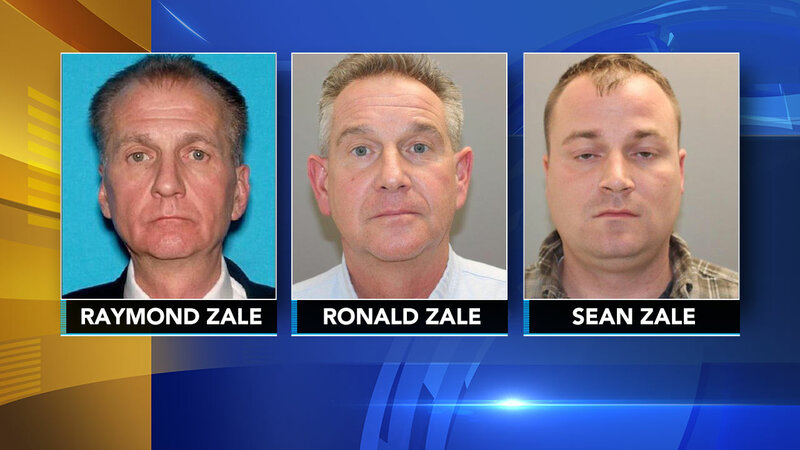 According to the Burlington County prosecutor's office, there had been a business arrangement between McChesney Funeral Home in Moorestown and the Zales since the 1980's. Raymond and Ronald Zale, who are brothers, were responsible for overseeing the funeral home's operations, investigators said. Sean, who is Raymond's son, assisted with various tasks. From 2008 to 2016, authorities say some $2.3 million was diverted to accounts controlled by the Zales. During that time, only $1 million of that total was paid to the funeral home. The investigation further revealed that funds given by two customers to McChesney for pre-paid funerals were deposited by Raymond Zale into his business and personal accounts, authorities said. The investigation began, prosecutors said, after Ronald Zales neglected to file documents with the State Board of Mortuary Science of New Jersey to renew the McChesney license, causing it to lapse and leading to the closure. The Zale family also owns and operates Eugene Zale Funeral Home in Stratford, NJ; Eichel Funeral Home in Pennsauken, NJ; and Middleton Stroble Zale Funeral Home in Somers Point, NJ, the prosecutor's office said.